I've been blogging for almost 2 years now and I've leaned a few things during this time. The main one being you have to plan! In the beginning its really easy to fire out blog posts but after a while you can get writers block. That's where a diary or planner comes in. Although i am a big Filofax fan and couldn't be without one, i just found it too much having everything in the one diary. It was becoming too full and although i love carrying it about with me, its like lugging a bag of potatoes about on a daily basis. So i decided to get a planner specifically for my blog. 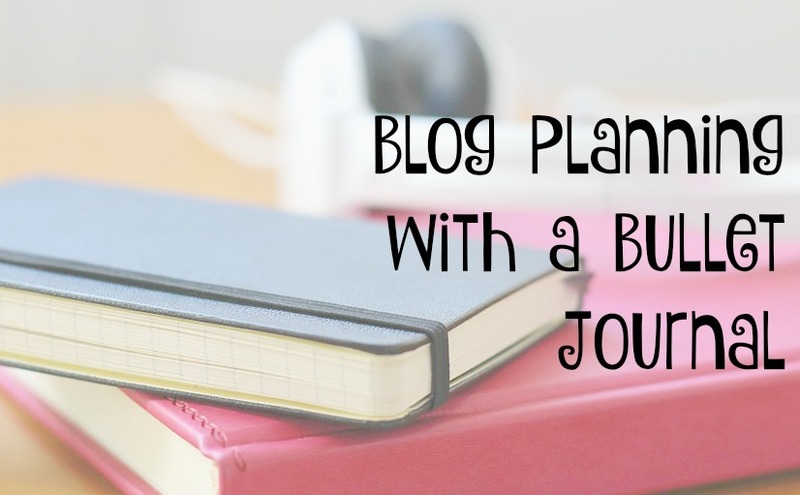 There are loads of different planners available specifically for blogging as well as many freebies on pinterest that you can print off yourself, but i couldn't find one that i really loved. That's when i decided to make my own in a way ... By creating a bullet journal. I first came across the concept online a while back but i didn't really look into it till i was in need of a blogging diary. Its a really versatile and you can set it out however you like which works great when your blogging. First you need to find the right notebook. Moleskine or Leuchttrum. Some opt for lines rather than squares etc. Below are some of the best picks I've found that will work for bullet journalling and are great value. 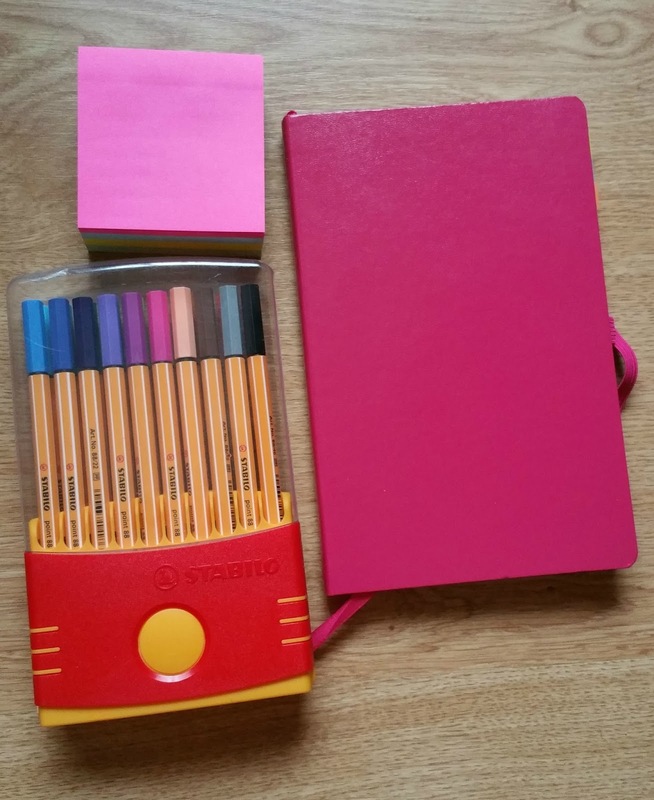 I decided on the Herlitz as it has perforated pages at the back as well as a wallet style space for storage (though its thin so i wouldn't keep anything but notes or post it tabs in it). It also has a pen loop and elasticated band to hold it closed (though the other 2 options have this band too). I started my journal with an index page ... 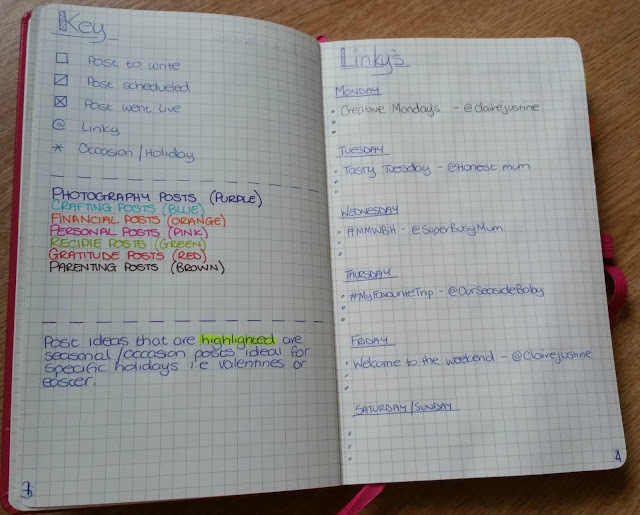 This for me is essential as i plan to have ALOT written in it so having the pages numbered and an index at the front will save me time if i need to find a specific week or topic. 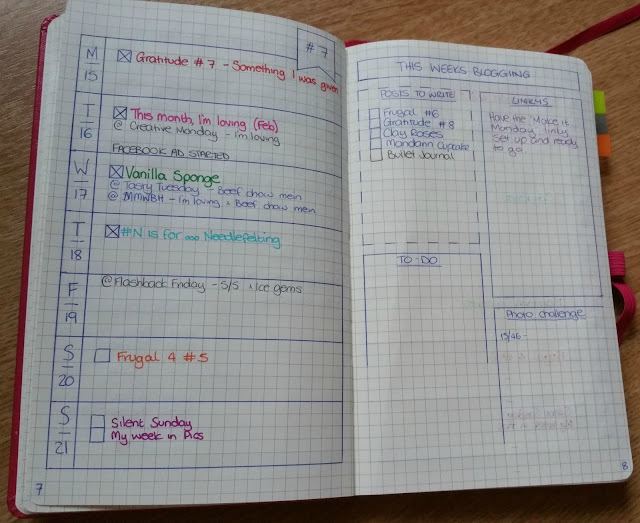 I started from Week 6 as i didn't see the point in writing out the weeks that had already passed. That would just be a waste of paper too. I have all my weeks accounted for right up will the new year and the subsequent pages i use for things like my #Project366 photo check list, #ProjectAtoZ, Post ideas, Log-ins etc. 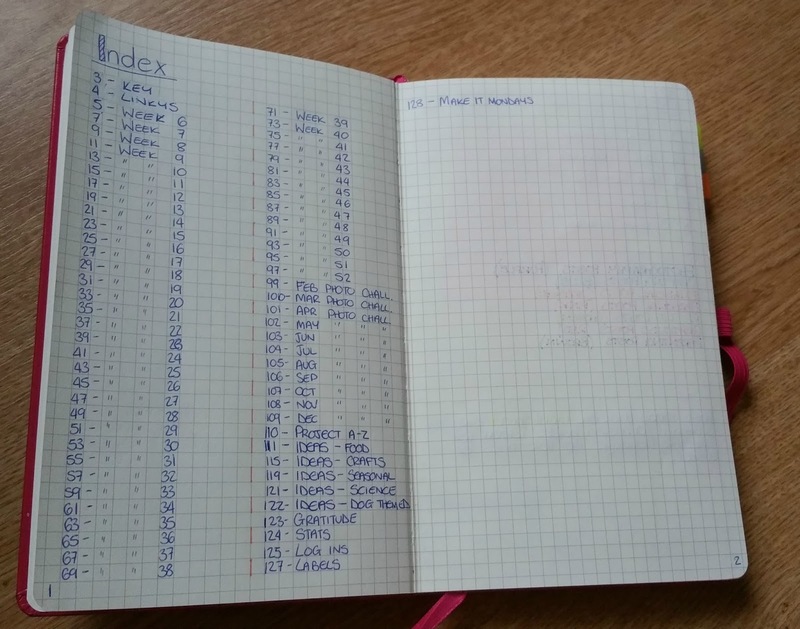 One thing that is common in bullet journals is having a Key. This is a way to simplify the page but keep yourself right. I also have specific post themes designated to its on colours. So how do you layout your week? Well that's completely up to you. This is how i stared my journal but as the weeks have went on my "This weeks Blogging" page has evolved slightly. Part of what i love about bullet journalling is that you can adapt it how you like. Week 10 doesn't need to look like week 1 did. Its all about how you need it to be. 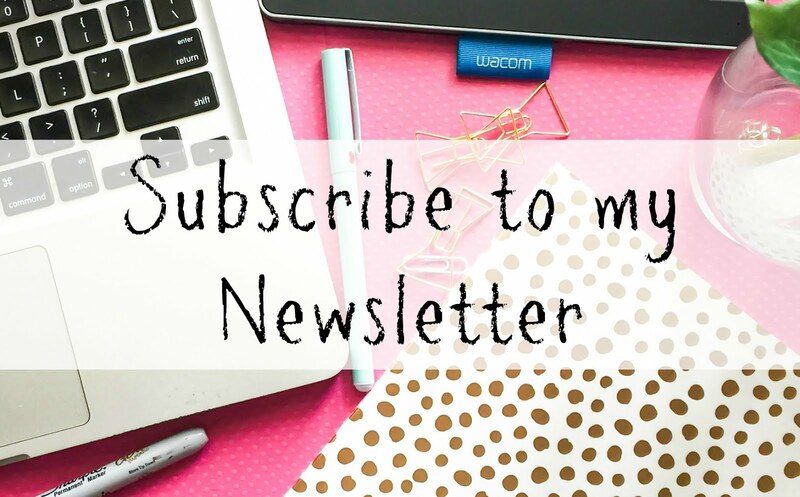 I also like to take part in Linky's from other blogs so i have a growing list of the ones i like as well as a system to let me know which ones i have joined. On the day i upload my post(s) to the linky i will mark it with "@" and the tag/name of the linky. I'll also make a note of the post i added so that i dont use that post again. Same with how you want to plan it out. I have my posts planned at least a week i advance. This way i can set aside time to not only make the craft for example but know that at some point in the week i will need to sit down and focus on typing out that post. I find that works best for me with such a busy schedule. In the summer months I'm hoping it will become more relaxed but with college so packed just now i need to keep organised. So as you can see i put a blank square next to the post i want to create. I'll type it up and once its scheduled to go live on the day i want i put a line through it (see the Key above) and once the post is published i put a line through the opposite direction to tell me its gone live. Sometimes i do write a post as the mood strikes and it will sit in the drafts folder till i decided to use it, often if i know I'm going to have a really busy week and wont have time to create anything. 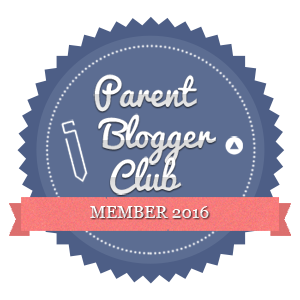 I love this safety net and would recommend it to every blogger. That way your still keeping your blog going while life takes over. Planning also helps keep on top of holidays that are coming up like Mothers day and Easter. This way i can start to plan my posts around the holiday and use some of the ideas i have at the back for relevant posts ... Clay flowers for Mothers day for example. I have loads of other pages that i could show you but i dont wanna spoil the upcoming posts i have planned (i have outlines for right up to May) but I'm sure you get the idea of how i use my bullet journal.